Plains Song Review Online: Looking for a Good Book about the Great Plains? Looking for a Good Book about the Great Plains? Are you looking for a new book to read, but you're not sure which book to pick? Check out Great Plains, Great Books! They offer a series of radio essays from Net Nebraska about good books set on the Great Plains. It has free audio stream, so you can listen any time you want. The books they review all look really good! 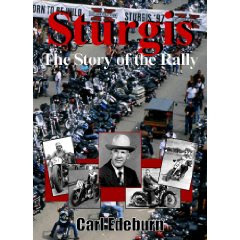 I'm definitely going to look into Sturgis: Story of the Rally. I've always wondered what goes down at motorcycle rallies. If you're looking for even more Great Plains reading, the website also has an annotated index of 500 Great Plains books, organized by state and topic.